House divided garters are among my favorites to make ~ each one turns out differently! Here's a set that I shipped out last week to bride Brandi for her August wedding: the New Orleans Saints vs Dallas Cowboys! Interested in your own house divided garter set? 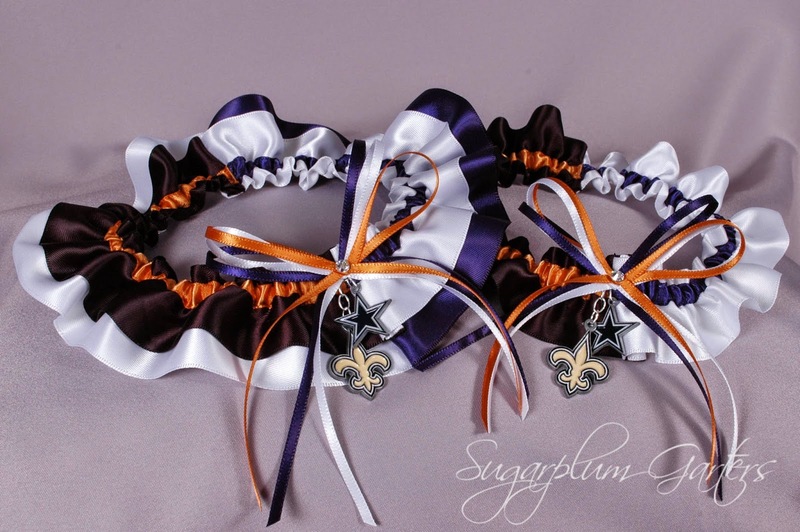 You can purchase it here: http://www.sugarplumgarters.com/servlet/the-2337/nfl-house-divided-garter/Detail! I ran across this a few months ago, and fell in love with the uniqueness of it. 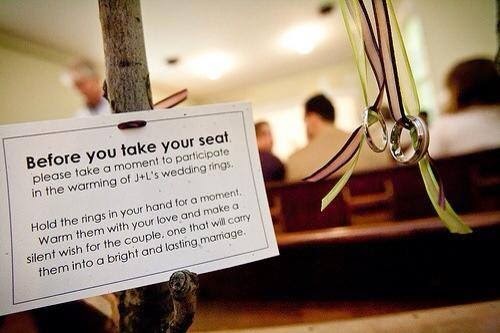 What a lovely way for wedding guests to send their well wishes for a happy marriage to the bride and groom! 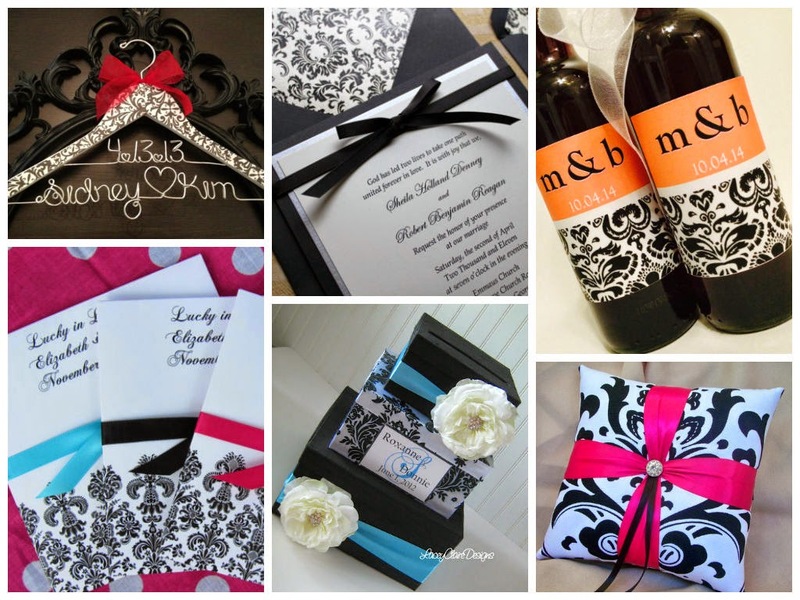 I had so much fun putting together today's inspiration board ~ damask is one of my favorite prints! I love how stunning it looks with every color of the rainbow! Looking for a damask wedding garter? This style and more are currently available in my shop in a variety of colors! I recently made this custom Columbia University Lions wedding garter set for bride Joanna, who is an alumna of Columbia University. The charms were a special order from one of my lovely vendors, and the garters themselves were so much fun to make! I love how the two contrasting shades of blue look together! Such a cute pose for an engagement shoot, especially if the bride and groom are having a military wedding! I LOVE it!!! 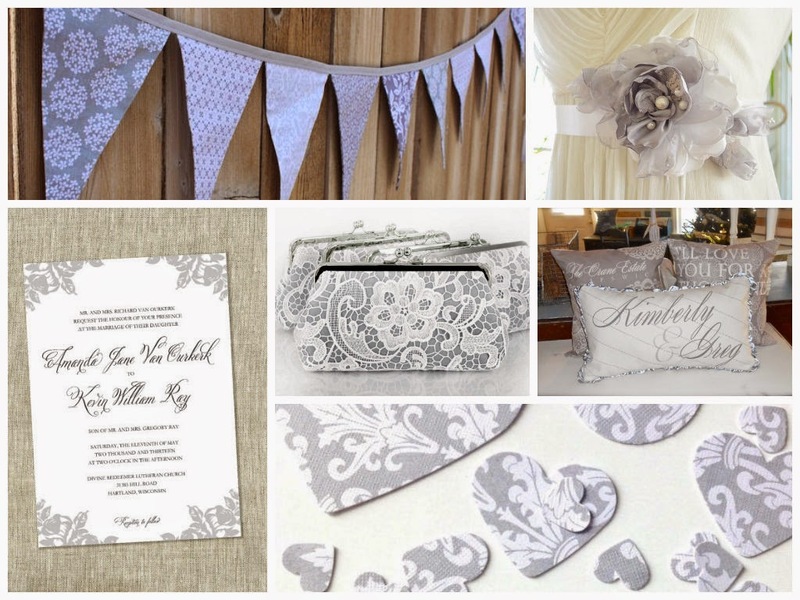 I love muted tones, and am absolutely crazy about gray and white together, which inspired today's wedding board! Enjoy!